Are you a firefighter, baker, bridge builder or student with poetic leanings? Do you have a poem or a notebook full of poems that you have been working on for a while but need some feedback and constructive criticism to help you improve or finish them? Come join ArtYard’s poetry workshop collective. 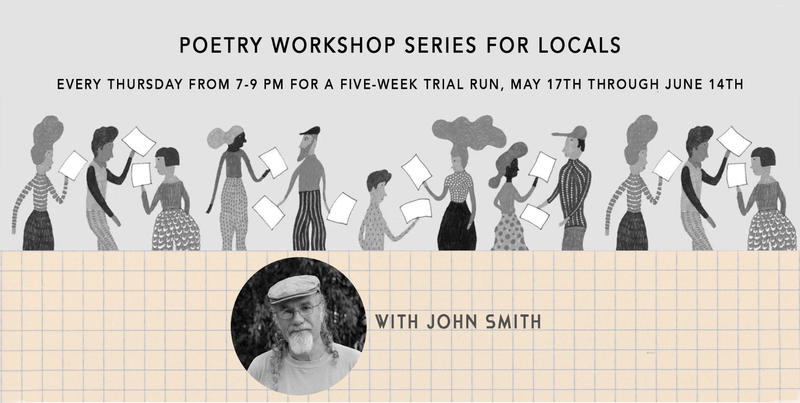 The published poet and facilitator, John Smith, has over 20 years experience running poetry workshops. If you are interested, we welcome poetry-curious, emerging and established poets 16+ years of age to meet at the ArtYard Residency in Frenchtown, New Jersey. The group will meet every Thursday from 7- 9 pm for a five-week trial run, May 17th through June 14th. Space is limited so register soon! Together, we can make our poems better. John Smith’s poetry has been published in many literary journals and anthologies such as New York Quarterly, The Literary Review, and New Jersey Audubon. His poetry has been set to choral music by composer, Tina Davidson and commissioned by NJ Audubon to celebrate their centennial. His book, Even That Indigo, was published by Canary Press.